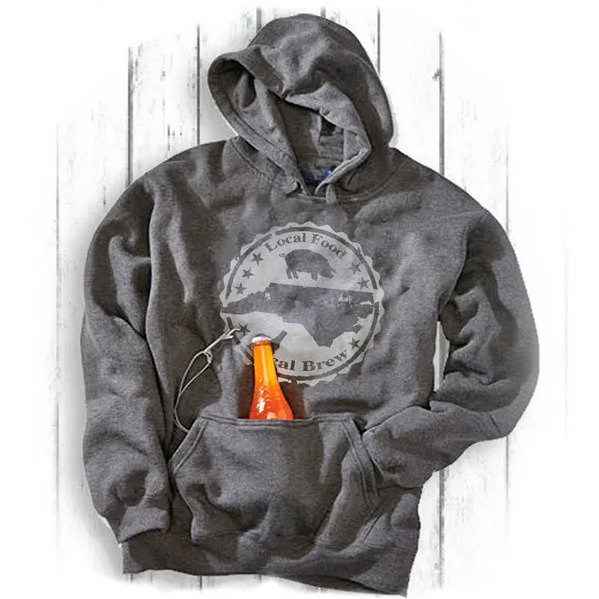 Soft pocket Hoodie with built-in beverage can cooler. The front is decorated with a screen print of the state of NC icon, a pig icon, a bottle icon and states Local Food, Local Brew. This is the perfect BBQ hoodie. The hoodie is a cotton and poly blend with an amazingly soft hand. 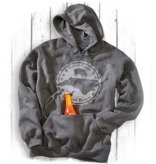 The Ol' North State BBQ hoodie will be an Ol' fave.